In addition to doing pond installations we stock a full line of pond supplies. You will find pumps filters, water treatments and plumbing material with the experts to tell you how to use them. 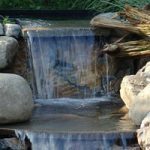 We have done hardscaping from simple walks and walls to elaborate waterfalls. 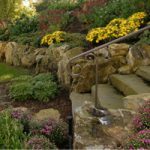 We have decades of experience working with stone to accent your landscape. We have the right equipment, the right materials and most importantly the skilled hands to build a custom hardscape that endure the seasons and frame your landscape. 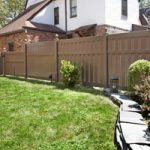 Our expertise in working with stone, iron, and vinyl fencing makes us the right choice for this portion of your landscape. We have hundreds of options to make your fencing compliment your overall design, eliminate maintenance, and provide security.